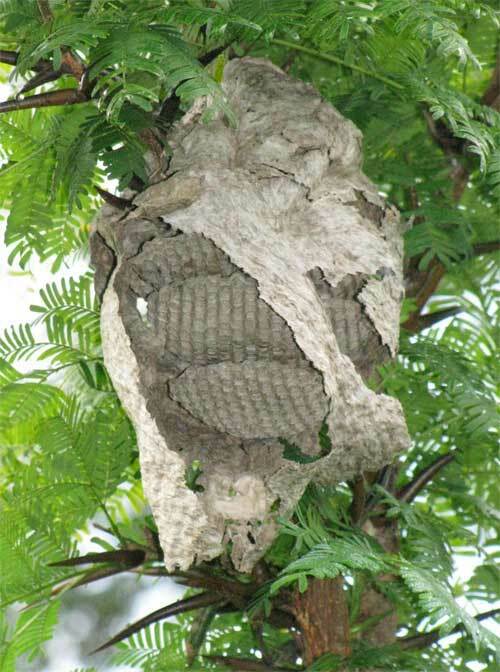 Paper wasps form grayish papery nests, that start as small as a golf ball and can grow into very large nests, hanging from a branch, or under house eaves. In the winter they all die, except for the queen, which overwinters in mulch or the ground, and starts all over again in the spring. * Please consult your local pest control company on how to deal with wasps. 1) If you have bees coming from the ground, they are not honey bees, as they only nest above ground. In the spring, native bees will have numerous pencil width holes in the ground. These are fairly harmless. Please see this page (link) to learn more about them. 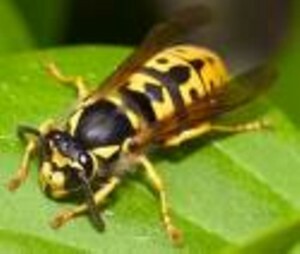 2) In the mid to late summer and fall, wasps have begun large colonies- see above photo. They have bright yellow on their bodies, which honey bees do not have. d) Have you called other beekeepers? 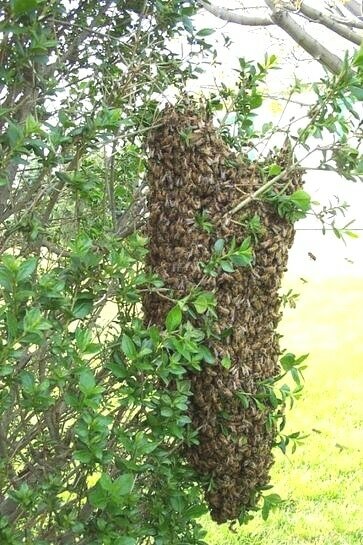 5) Once you have called a beekeeper to capture the swarm, please notify them immediately if the swarm has left. NOTE: Those volunteering to assist the general public in the capture of honey bee swarms are responsible for all activities related to any capture and collection, including any communications with the general public that may be involved. "Rochester Beekeepers" assumes no responsibility related to the capture and collection activity.